Today I ran 2.5 miles. That's 2.5 miles with about 1 minute of walking when my legs just wouldn't move any quicker. This is probably the best I have ever done and even though it took me 33 minutes I'm still very proud of myself. I first started to enjoy running a few months ago and absolutely love having my music thumping in my ears as my feet pound the ground. If you saw me now you'd never have guessed that this time last year I detested running. In fact I hated any type of exercise and would never have thought that I'd enjoy it. My main reason for enjoying it so much is because I get alone time. It's the only time when I am completely alone, even if I'm on the treadmill at home, and zoning out while listening to music has done me the world of good. Start out slow: If you've never ran in your life, or it's been a long time, don't go out and try to run 2 miles straight away. Begin by walking, even at a slow pace you're going to be getting that exercise and your body can get used to it. The more walking you do the easier it gets and then you can increase your pace. Eventually you'll be able to go for a jog and maybe even a run! Don't push yourself too hard: But don't let yourself off too easily either. You want to challenge yourself without making it hurt. If it hurts, stop: That saying 'no pain, no gain' is nonsense, if something hurts then something is wrong. Your body is trying to tell you to take it easy. Listen. Get the right shoes. This is probably one of the most important. 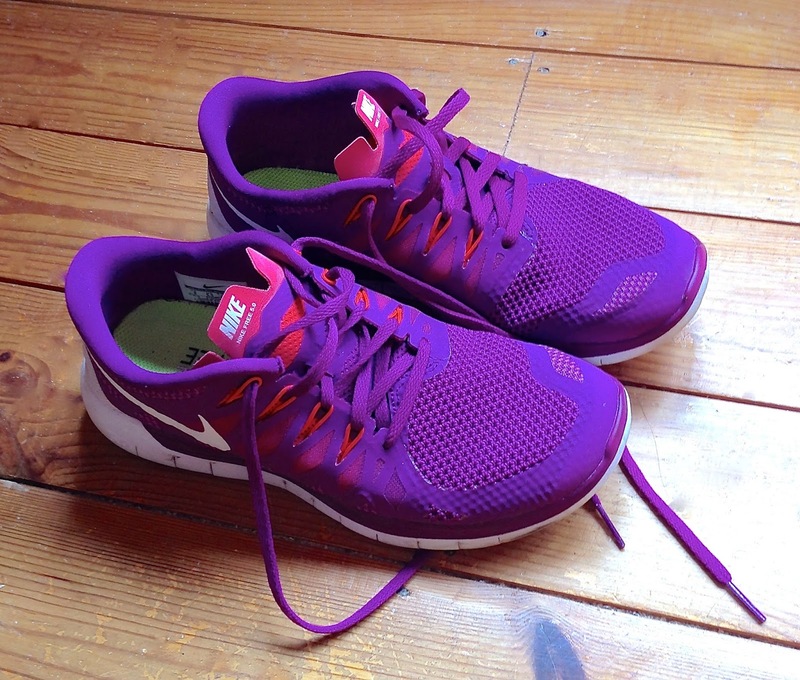 Having the wrong pair of shoes can cause lots of pains and problems so be sure to wear comfortable running shoes. Music. Having the wrong music can seriously hinder your running (for me anyway!). I love to run when a heavy beat is pounding in my ears. Some people love to listen to Classical music or Country. Find the right tracks for you. Drink water. I spent a while drinking a pint of diet coke after my walks but when I began drinking water I felt so much better. My water has to be iced, I hate lukewarm water, but guzzling more than a pint of water after a 2.5 mile run gives me the same feeling as sipping a nice bourbon and coke on a Friday night. I'm not professing to be any kind of expert but I have learned a lot over the past year or so and I wanted to pass that on. Starting out a new exercise regime is difficult enough so having the right tips can make all the difference. Do you have your own tips to share? If you have started out on your exercise regime, how are you finding it so far? Well done! That's awesome. I started the couch to 5k app and now about to start week four. I can't believe that I have managed to run for three minutes. And be ok. I know that sounds so small, but for me, it's mega. I thought I would do this jogging thing while on holiday since I didn't have my bike, but I'm liking it a lot and discovered that my dog is a good companion too. I thought her pace would be very jerky and too fast but she fell into time with me like she had the app in her ear too. I LOVE the music. You are spot on with your tips!